Happy Navratri friends! Sabudana pops! 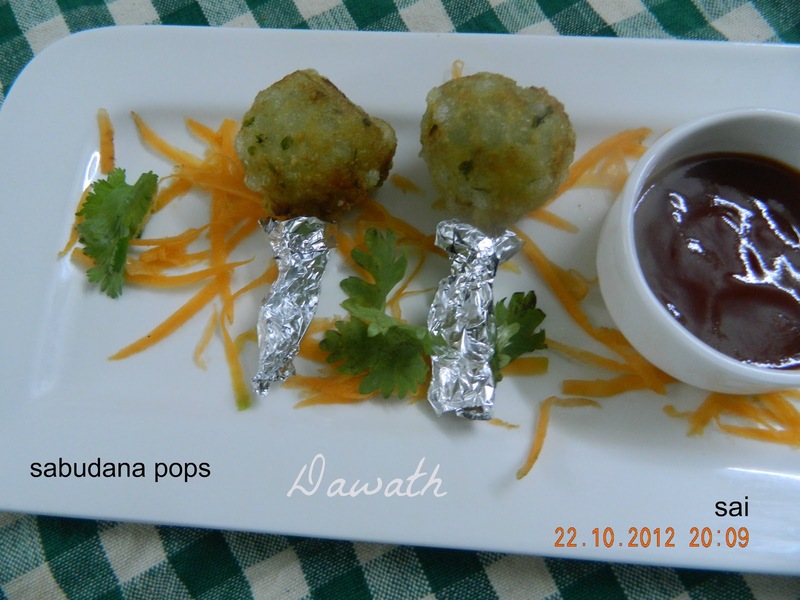 Doesn’t it sound interesting?This is nothing but Sabudana vada transformed into pops. I didn’t add onion nor garlic as this can be savored during vrath(fasting). I could not wait to post this delicacy. Sabudana vada is very famous in Maharashtra. I first tasted it in Mumbai after my marriage and learn’t to prepare it from my sister in law. And till today’s date I prepare it. 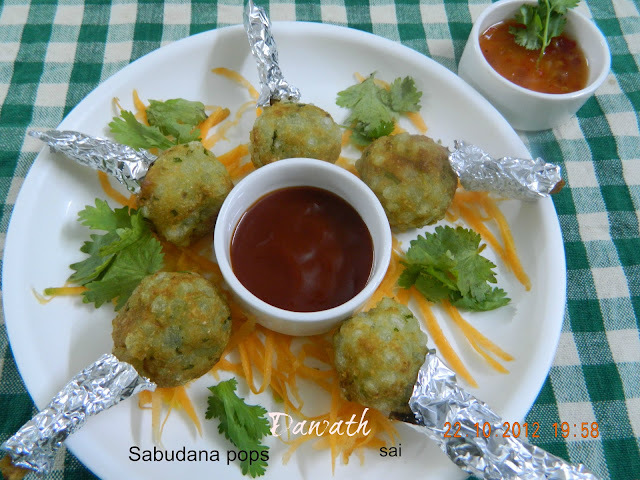 Sabudana is tapioca pearls as in English and it is made from raw tapioca roots. This is one of my signature dish too. Cut the potatoes into fingers. Blanch it in the hot water for 2 minutes. Drain it in a colander and pat it dry in a cloth. Transfer into a dry bowl,add cornflour and salt . Wash the sabudana and soak it for 2-3 hours. Drain it completely and refrigerate for 4-5 hours. Mix the sabudana along with all the ingredients except oil and knead into a soft dough very lightly. Make it into round balls using both your hands just like lollipops. Insert one finger chip in the pop and press well. Again refrigerate the Lollipops for 3-4 hours(optional). Heat oil in a pan and deep fry carefully until cooked and crisp. Serve it with green chutney or ketchup. You can also fry the normal Sabudana vada’s with this mixture. Just skip the Finger chips step. For the normal vada just flatten the ball and deep fry.